In the same way that many people throw around the acronym “NASDAQ” without knowing that it stands for the National Association of Securities Dealers Automated Quotation, we who keep our fingers on the pulse of the tech world often discuss IP ratings without knowing what the “IP” stands for: ingress protection. Now, if you’re like I was prior to researching water-resistance, you might not know what “ingress” means either. That’s a-okay. “Ingress” is just the act of going in or entering, which makes sense since IP ratings depend on how well a device can resist dust or water. Okay, but what’s the “X” doing there? Excellent question. (Alright, alright. No more puns.) The “X” serves as a placeholder for the degree of dust-resistance regarding IP ratings. Not all devices receive just an ingress rating; hence why many are rated IPX4 or the like. The latter rating—in this case, the “4”— is technically referred to as a liquid ingress protection rating. Sadly, we’re not calling on Tom Hanks to help us with the DaVinci Code; however, IP ratings—or codes—are much more practical to our daily lives. As we said, IP ratings are broken down into two categories: dust and water-resistance. The former ranges from zero to six, while the later goes up to eight. As you might expect, the lower the number, the less it’s able to combat the respective hazards. And that’s it. Yes, it really is that easy to figure out, but in case you’re like me and want a concrete example or two, we’ve got you covered. IP ratings are found on many devices; the Bose SoundSport Free are IPX4-rated. The Bose SoundSport Free true wireless earbuds are IPX4-certified. Thanks to our table, there’s no need for rote memorization, unless you’re into that kind of thing; then by all means, memorize away. For those of us who prefer cheat sheets, scroll up to the “IP ratings” tables. What does it say again? Ah, yes, resistant against splashes from any direction. Cool. That means the SoundSport Free can handle even the sweatiest of us and be no worse for the wear. As a matter of fact, they’ll likely survive a clumsy spill from a water bottle too. That said, don’t go around thinking these are invincible. Full immersion will render them useless. Plantronics engineered the BackBeat FIT with durability above all other concerns. These Bluetooth workout ‘buds received one of the highest IP ratings at IP57, making them dust and water-resistant. Now, to what degree? A dust-resistance rating of five indicates that the BackBeat FIT are dust-protected. This means that traces of dust can still permeate the headphones, but it won’t interfere with their ability to function. Regarding waterproofing, a rating of seven allows for complete immersion at one meter for up to 30 minutes. Sure, there’s always someone who doesn’t need—or doesn’t think they need, rather—any kind of device-proofing, but accidents happen. Even the hydrophobic need to drink, leaving potential spills to chance. Nowadays, additional protection doesn’t necessitate additional cost. After all, look at our last case study. The BackBeat FIT cost just $70. That’s not to say that $70 is chump change. Quite the contrary, if someone gave me $70, I’d be elated and would immediately make seven consecutive trips to Potbelly’s. Poor spending habits aside, headphones that are rewarded with IP ratings will likely remain on your head longer than those lacking certification. 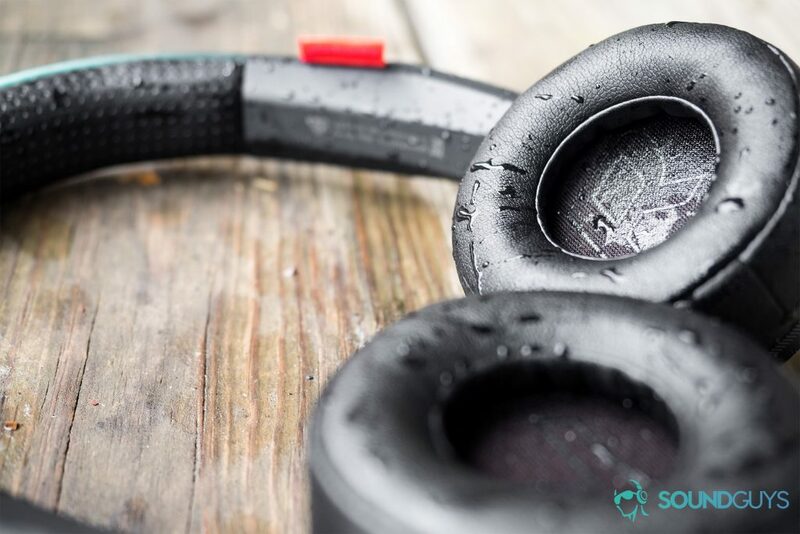 If a pair of headphones receives an IP rating, you can rest easy knowing that a drop of water, spring deluge, or an unexpected poolside shove won’t short-circuit the internals. And as a backup, many warranties cover water-resistance failures. Worst-case scenario you jump through some bureaucratic hoops to justify a repair. Still, not too bad. If you found this interesting, check out our article on Bluetooth codecs and learn how to EQ with Adam.